The unmistakeable presence of garlic, an aromatic powerhouse with delicious bite, is in a class of its own in the spice world! Whether in marinades for succulent meats, sauces for decadent pastas, or eggs for quiches, the addition of garlic salt brings cooking a unique intensity. 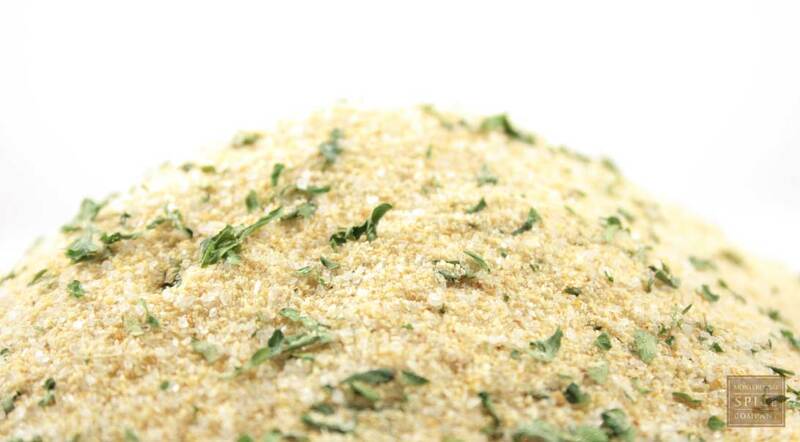 Coupled with parsley flakes, a well-known balance for garlic breath, our garlic salt spice blend makes a memorable meal less obvious when you're talking about it! This savory seasoning carries the bold flavor of roasted and ground garlic, enhanced by salt and dried parsley. It’s sure to wake up steamed or roasted vegetables, chicken and beef. It’s also great sprinkled into sauces, dips, marinades and dry rubs. Try some the next time you make garlic bread! Dehydrated garlic, salt and parsley flakes.